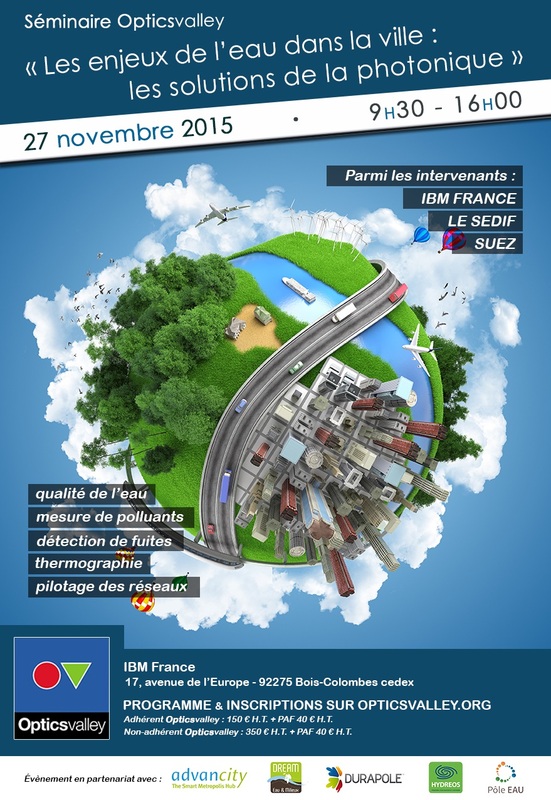 On November 27th, ESIEE Paris joined the debates during the Optics Valley seminar organized by the eponymous high technology cluster and hosted by IBM. Even if drink water is one of the most controlled food product, there are some breakthrough innovations to develop before reaching a smart and efficient water management system. Health, environment, the seminar tried to deal with “Water stakes in urban areas: photonics solutions“. To give some elements of a response, Tarik Bourouina, presented the research expected outcomes of Proteus project during the “Water quality“ session. A real interest for scientics, academics and water community attending this event, highlighted by an article in the cluster newsletter “Lumière”. This project has received funding from the European Union’s H2020 Programme for research, technological development and demonstration under grant agreement No 644852.